Winter arrived in LA this past weekend, giving us a much needed rain storm. While running around town and shopping for the new place I managed to live in this peacoat! You are so gorgeous! 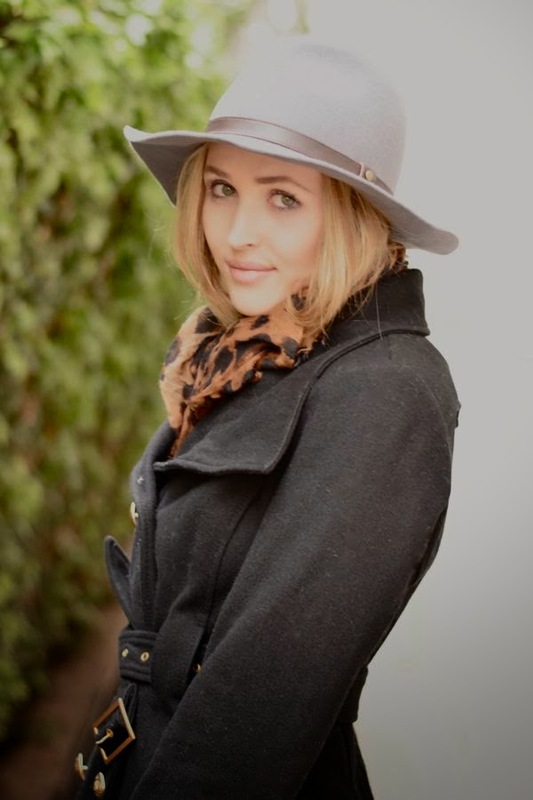 This is such a chic rainy day look, and I'm obsessed with your leather leggings and your hat! They make such a chic statement. love the peep of leopard! tres chic!